UPDATE: Netflix got back to us. It confirmed that the company plans to launch an interactive five-episode version of Netflix: Story Mode by fall of this year. What’s especially interesting is that it doesn’t consider this as a “game” per se. The company was adamant that it doesn’t consider an interactive offering to be a game, but rather an extension of the cinematic experience. As for Stranger Things, it said that title won’t be coming to Netflix, although Telltale will launch its own romp centered around the popular retro sci-fi series at a later date. Netflix is the biggest video streaming site around. Now, according to TechRadar, it’s getting into the gaming business. The company is believed to have entered into a partnership with Telltale Games, which will bring simple adventure game experiences to Netflix. 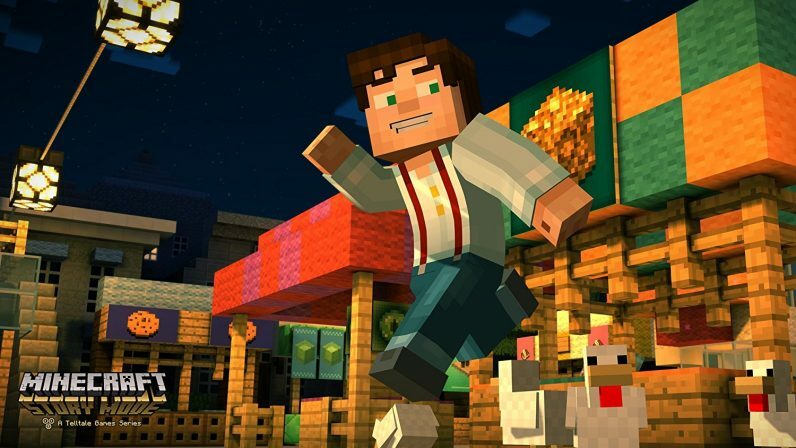 The first title is likely to be Minecraft: Story Mode, which first launched on PC and console in 2015. Insiders also report the company is likely to launch titles based on Netflix’s original content. The most probable contender here is the hugely-popular Stranger Things. TechRadar’s sources report that the games will be largely platform-agnostic. As long as you’ve got a remote with directional and select buttons, they’ll work. This approach is a natural bedfellow for Telltale’s relaxed approach to games design, which limit gameplay to traversing an environment and selecting dialog options. You don’t really need a whole controller — just the bare essentials. According to TechRadar’s sources, both Netflix and Telltale are advanced in the deal, with playable demos of the games having been in existence for “at least” the past year. They report that the official announcement could be imminent. We’ve reached out to Netflix and Telltale. If we hear back from them, we’ll update this piece.